Power and circuits for submersible pump systems. 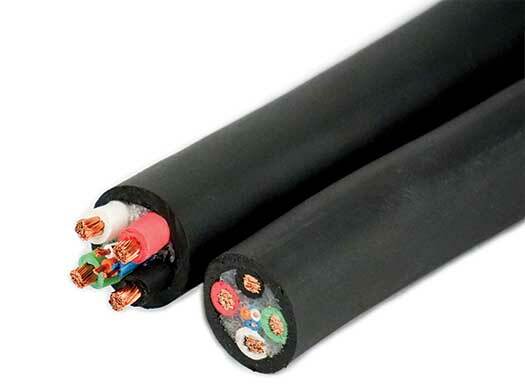 Our submersible cable is suitable for direct burial and within well castings for wiring deep submersible water pumps. 3/Conductors – Black, Yellow, & Red. Ground/Conductor – Green. *Ampacity ratings are based on copper conductor temperature at 90ºC and ambient temperature at 40ºC.